Who would have thought that a mere street food can lead to fortune? Can you even imagine that? I for one can’t. However let Reymont Choachuy break that misconception. As a matter of fact he did. Because of his love for customary street food, he was able to establish his own empire. Now, he is not only enjoying those food items like us but he is also earning a lot. Such passion made him one successful entrepreneur and truly deserves a spot in today’s post. It started way back in 2003 when Reymont was hospitalized because of diarrhea. He got it from eating something in the streets of Muñoz. That was eventually a first for him. After that, he thought of bringing street foods to a different and higher level. 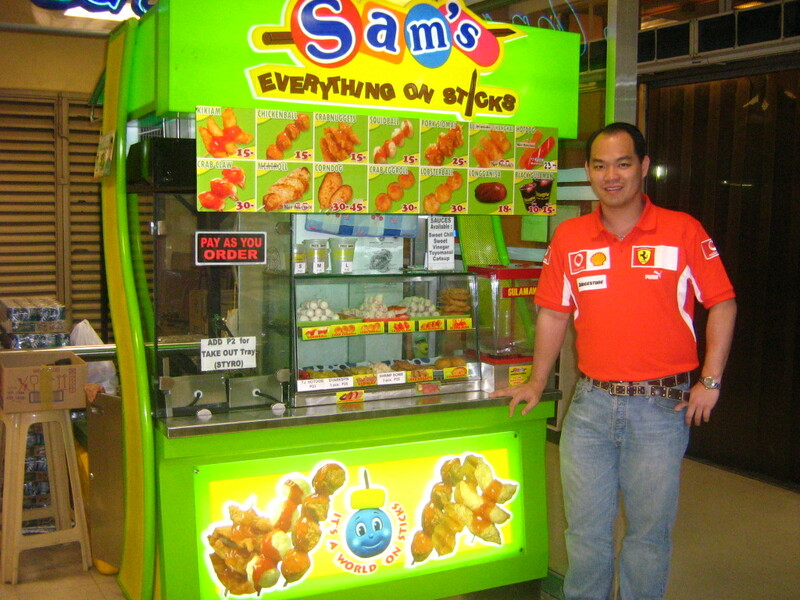 He used his entire savings to start Sam’s Everything on Sticks in Tutuban Centermall. It was not easy for him. For one, he has competitors and second they provide their products at lower prices compared to his. He served everything on sticks like the usual favorites fish ball, squid balls and more. Then he introduced lobster balls, crab claws, corn dogs, shrimp bombs and more. From the first outlet, he eventually opened the second and it snowballed from there. Because of this venture, individuals were already inquiring about franchising. Because of that, he asked the help of a franchise consultant to help in their business operations and processes. Two years after, the Noble House was created. This is the franchising umbrella company of more than 60 food outlets with Reymont as the President. It currently carries Sam’s Everything on Sticks, Itlog on Sticks, Sumomai and Ferino’s Bibingka. The products are conceptualized by Reymont. Aside from delivering quality Pinoy street foods, he is also keen in creating low entry level of his franchises. That is why they created reasonable franchise packages without royalties to anyone interested. The Noble House wants to help Filipinos achieve their dream by having their own business. With Reymont’s example, we hope we get inspired to not only build or business but realize our dream, no matter how small or how big that is. P.S. To those doing the 52 Week Money Challenge and 52 Week Money Challenge Version 2, it is Week 28 already! Did you deposit the next amount yet?